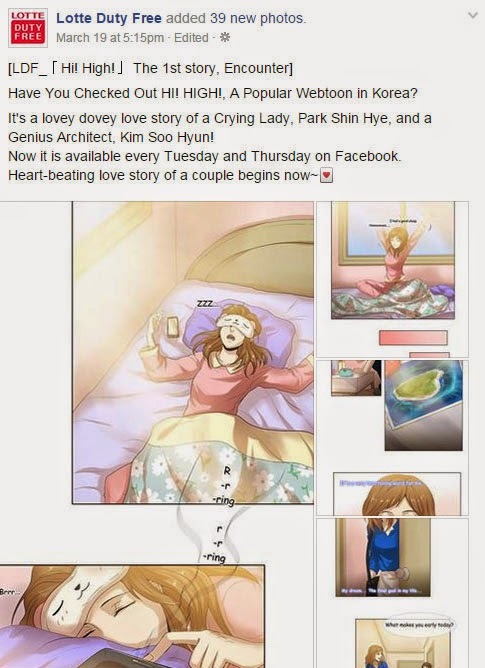 The webtoon can be read from the LDF facebook page. 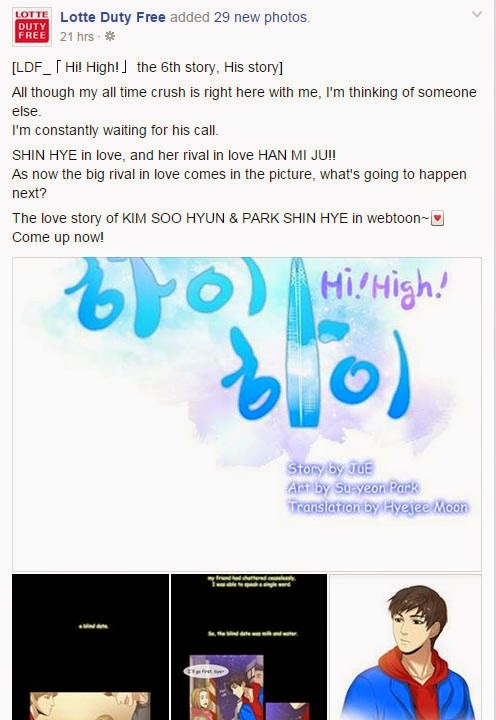 LDF has released dwi language version of the webtoon; both in Korean & English language. 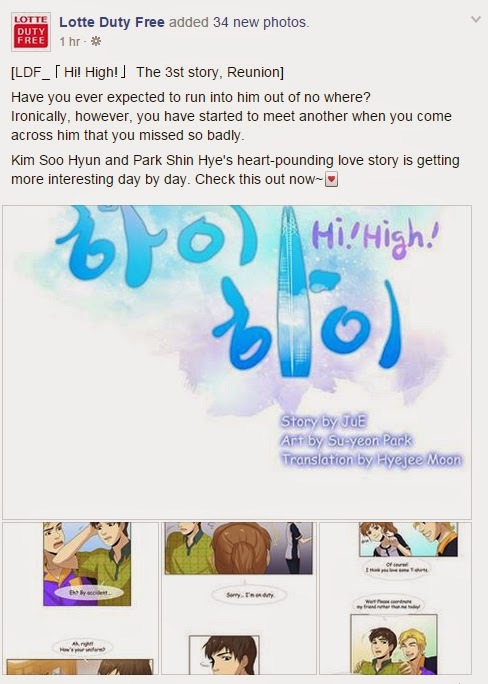 I'm so excited at the thought of seeing both passionate and fun-loving Park Shin Hye and Kim Soo Hyun in Hi High, Lotte Duty Free. Looking forward to reading more of them on LDF facebook every Tue & Thur. Joa! 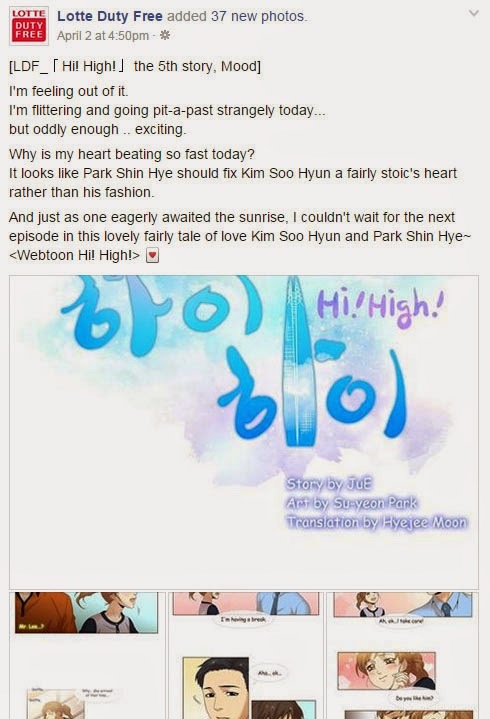 Hwaiting! 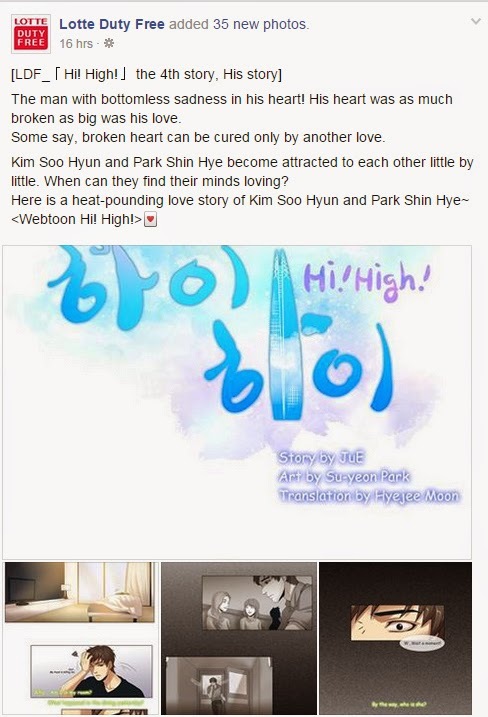 wondering if there is any update on park shin hye n kim soo hyun's hi high? 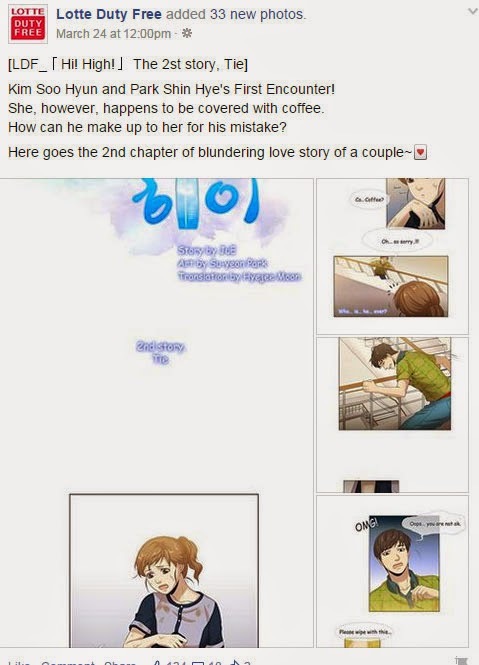 may i know where i can read 7 n 8 stories of it in eng? thanks.